Those of us who have been confined to a children’s hospital isolation room with a sick child know that the time flows differently there than in the outside world. Some hours fly by in seemingly-endless exams and procedures when you have to be present every moment, help keep your child comfortable, interact with the hospital team; and you cannot sit down and focus on anything else. Other times you are counting minutes as your child sleeps, worried and full of anticipation and hope that they would feel better when they wake up, or full of frustration at setbacks or lack of progress. The atmosphere overall is not conducive to doing anything productive, yet you need to keep yourself occupied to stay sane and be available for your child when they need you. So below are a few suggestions on what you can do while confined in a room with a child who is resting and does not need you at that moment. 1. Use the web and phone to stay in touch with people. Anxiety and loneliness can make things seem a lot worse than what reality is, and even when reality is bleak, an encouraging word is helpful. 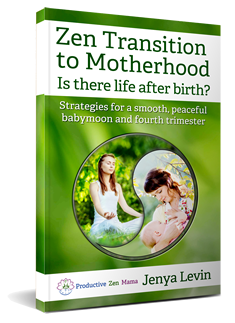 Talk through the events with other mothers who have been in a similar situation – you might gain insight into hospital protocols and rules, medical procedures, possible ways to make your child more comfortable, and an idea of what to expect. It also just feels good to hear that others have been where you are. It seems like a counter-productive suggestion (after all, talking to people takes away from productive things you might be doing during that time), but without a sanity check your thoughts and feelings might be so scattered that you won’t be able to focus on anything else. 2. Arrange for people to come visit. When there is an interruption in the routine of procedures which you can look forward to, the day does not seem as long and the night as lonely. Ask your visitors to bring a meal if possible. Hospital food is often highly processed and not fresh. Since your sleep routine is already disrupted and you are getting exposed to cleaning chemicals and infections abundant in a hospital, the last thing you need is to get sick from eating poorly. Sites like MealTrain.com can facilitate the creation of a meal train – an arrangement where people sign up to bring you a meal on a specific day. After having hospital food for a day and then subsisting on beef jerky for a couple of meals, a soup for lunch and a homemade cooked meal for dinner made a big difference for me. 3. Write down everything you can: child’s feeding times and diaper weight, oxygen level changes, test results, medicine administration times, and times of any other procedures. You’d be surprised how many mistakes are made and things overlooked, and many times you will be asked to confirm nurse’s records or doctor’s diagnoses. Write down the names of the doctors and nurses in case you want to file a complaint or send a thank you note after the discharge. 4. Have a video chat session with family members or friends. We have an older child at home, and with the seasonal visitation ban for anyone under 14, he has not been able to come visit for the entire week. I’ve managed to see him for a couple of hours one day, but that was not nearly enough. The video chat helped us stay in touch, and the baby enjoyed seeing familiar faces and her brother’s antics. 1. Take care of yourself: brush your hair, trim nails, moisturize lips and hands (the hospitals often have very dry and cold air), brush your teeth, put together a snack. If you are breastfeeding and are engorged – consider pumping. In some hospitals the nurse can bring you a pump into the room together with bottles, caps, and labels, and you can ask them to put your milk into the freezer or fridge. In others you might have to go into a separate room to pump. 2. Get the room ready for when the child wakes: tidy up (not all nurses are diligent about discarding used packaging and tools), set out your child’s clothing, toy, book, diaper, snack, blanket, or whatever else they will need. 3. Take a mental break: look out the window if there is one, meditate, make a cup of tea, re-focus your attention. Once I know I’ll be stuck in the hospital for more than a day, one of the first things I ask for is a kettle, since having a cup of hot tea is the best way for me to get centered. 4. Take a physical break: do some sitting stretches, wrist or neck exercises (these are the ones I find useful). Carrying a child puts a strain on the wrists and arms, and bending over to breastfeed or play can stress the back and neck, so it is good to get some relief when you have a moment. 5. Give into the magic of coconut oil. I have used it to moisturize a split lip: it cracked in the dry air of the hospital and with diligent application of coconut oil it has healed within 24 hours. I have used it to help heal the site of the IV injection on the baby’s hand. You can also do oil pulling if you think no one will need you to talk in the next 20 minutes or so. Both calendula cream and coconut oil were helpful in easing the baby’s discomfort from rubbing her nose and eyes (the oxygen tubes were very irritating to her): I alternated applying them to her face. 6. While there is daylight, try reading – preferably something uplifting or peaceful, to take your mind from worry. A book with short chapters might be best since you can be interrupted at any moment, and it is hard to come back into the middle of a complex thought being expressed over multiple pages. 7. Find a way to smile. When my partner and I were in the hospital isolation with our older child two years ago, we were tired, sad, and despirited, as our son was fighting to breathe and get better. So one day when he slept, we decided to find a site with funny visual memes and browse through them together. It made us take a deep breath, smile, and took a bit of tension out, so that when our son was up, we were able to share our boosted positive energy with him. 8. Go through your outstanding emails (this can take as little or as much time as you have, just chip at it) and do some inbox clean-up. I use the combination of my email inbox and calendar as my to-do list. So there are always messages sitting in my inbox waiting to be read, watched, responded to, or actioned. Some videos might be problematic to stream over the hospital network (the connection has not been very reliable in my experience), but articles can be read, online research or purchasing done, and correspondence answered. 9. Rearrange your schedule. You have likely landed in the hospital unexpectedly. That means there probably are appointments in the next couple of weeks you might need to reschedule, or possibly some deadlines to renegotiate. A few phone calls are easy to make during the day, and you can reorganize your schedule for the near future. 10. Purchase supplies online. You might need medical supplies to keep caring for your child at home. This is a good time to take stock of what is needed and order it online – that way you will have everything you need once you are home. For instance, we had to get a nasal aspirator and additional filters for it, to help suction the baby’s nose. I also needed band-aids for myself, as a deep finger cut I’ve been trying to heal has been aggravated by all the dry air at the hospital, and the way I found to assist its healing was putting calendula cream on it under a band-aid, so it did not get smudged or dry off. 11. Do some of your online work (assuming you have any), if you feel you can focus sufficiently. Updating social media profiles, designing a newsletter, editing product or service listings, answering client emails, writing site content, doing online marketing or coding can all be done in short bursts. 12. Brainstorm. When you are in a non-routine situation, unexpected ideas often come to mind. Write them down. They could be related to work or business, home, family, outstanding task reminders, steps to resolve existing issues, or things you’d like to do for pleasure in the near future. It is good to take yourself out of the current situation even for a few minutes and imagine a different reality where your child is well again, and thinking up a few activities you could do together. 13. Breathe deeply. Remind yourself that this too shall pass, and trust that things will look brighter on the other side. If you are reading this at the hospital, my wishes of health and quick recovery for your little one.